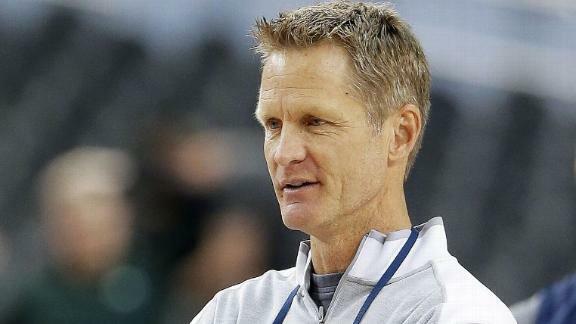 According to reports, Steve Kerr met with Knicks President Phil Jackson on Friday and Saturday to discuss the Knicks’ open Head Coach position. 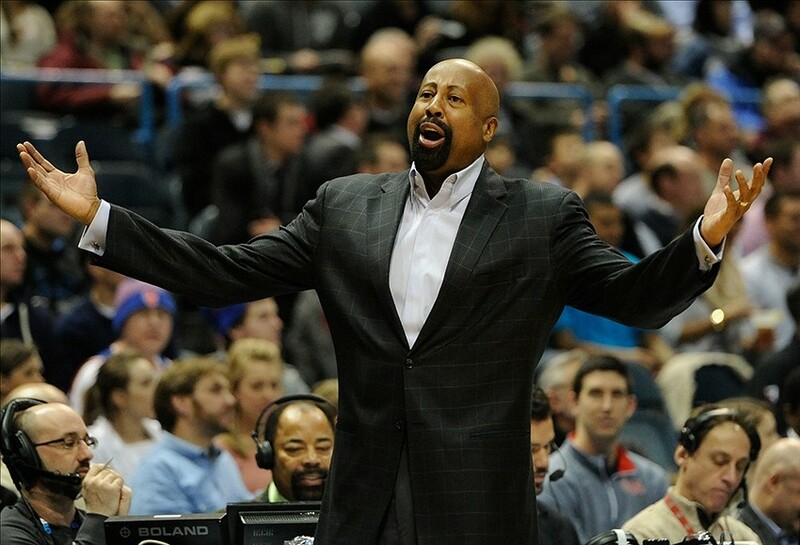 The Knicks fired Mike Woodson and the rest of their coaching staff on Monday and Kerr, who won 3 titles as a player under Jackson in Chicago, is considered to be the frontrunner for the job. Jackson wants to run the triangle, and Kerr certainly knows it. 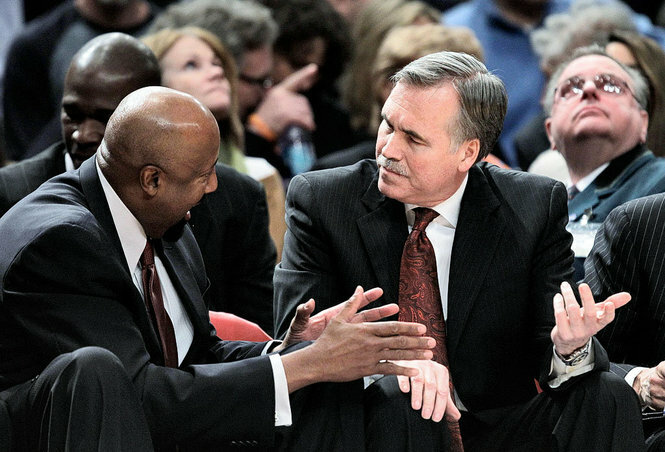 He also seems like a good basketball mind, and if Phil trusts him (which he does: Kerr had also been in line for a coaching job under Jackson in Seattle had Chris Hansen successfully managed to move the Kings there), then I trust him. But the Knicks might want to be patient. There will be many coaches on the market this summer. Jeff Van Gundy, Stan Van Gundy, George Karl, Lionel Hollins, and others are all jobless. 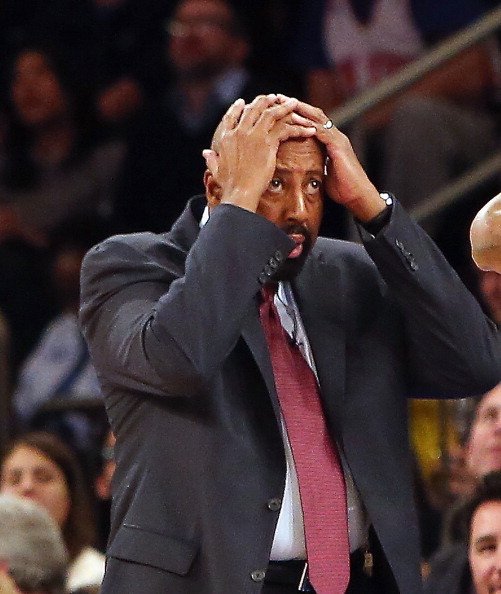 Mark Jackson and Frank Vogel might be next. 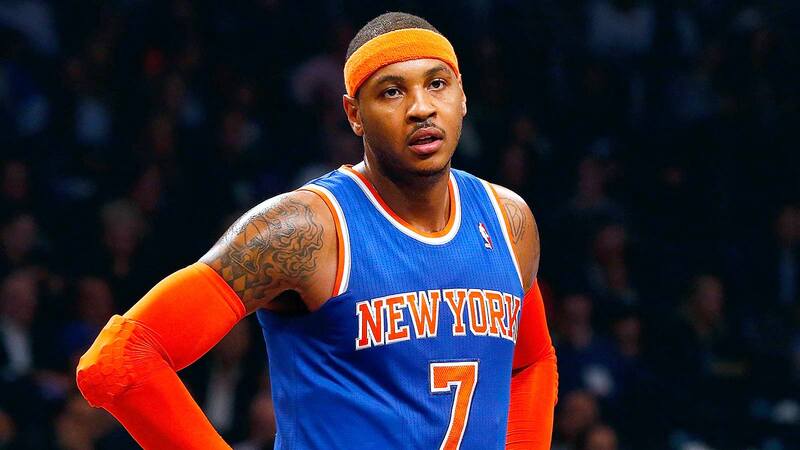 The Knicks could try to somehow pry Tom Thibodeau from the Bulls. And who knows… with the Donald Sterling fiasco happening in LA right now, an apparently unhappy Doc Rivers might ask to be let out of his contract. From what Jackson said in his press conference a few days ago, it sound like he will take his time. Which he should. But Kerr is the favorite right now, and now that he has met with Jackson in person to discuss the job, that might not change anytime soon. This entry was posted in Articles and tagged doc rivers knicks, jeff van gundy knicks, KNICKS, knicks blog, knicks coach, KNICKS MEMES, knicks new coach, Knicks news, knicks rumors, mark jackson knicks, new york knicks, phil jackson knicks, steve kerr knicks, tom thibodeau knicks, tommy rothman knicks on April 27, 2014 by Tommy Rothman. Speaking Friday to the media gathered in New Orleans for All-Star Weekend, Carmelo Anthony basically said the following. His first choice is to remain in New York for the rest of his career. He is willing to take less money to help the Knicks with the cap going forward, but only if he likes the plans they set out in front of him. 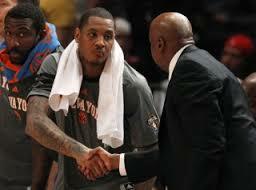 He will be meeting with the Knicks’ Front Office soon to discuss roster plans going forward. 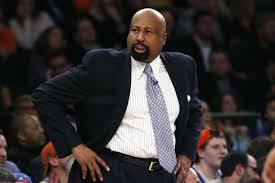 Mike Woodson will be at practice Monday in Memphis. He knows he will not be traded before Thursday’s Trade Deadline. Given that Melo seemingly calls a lot of the shots, this is a very telling series of statements. This entry was posted in Articles and tagged Carmelo Anthony, carmelo anthony knicks, carmelo free agent, KNICKS, knicks blog, knicks coach, knicks fire woodson, knicks keep carmelo, knicks keep melo, KNICKS MEMES, knicks new coach, Knicks news, knicks rumors, knicks sign carmelo, knicks sign melo, knicks trades, melo, melo trade, mike woodson, nba, new york knicks, will carmelo anthony leave, will knicks trade carmelo, will melo leave the knicks, will the knicks keep melo on February 14, 2014 by Tommy Rothman.